The Metropolitan Police have issued a “sincere and unreserved apology” in response to complaints that dressing one of their Operation Strong Tower "terrorists" in a Cuban flag t-shirt associated the country with terrorism. 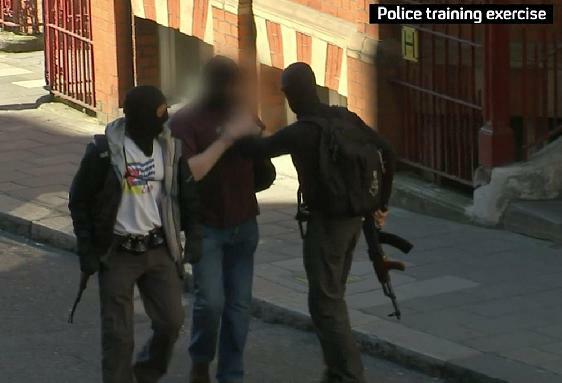 Three police officers acting as terrorists in Operation Strong Tower – a simulation terrorist attack exercise - were carrying weapons and wearing balaclavas. All were dressed in black, apart from one who was wearing a Cuba flag t-shirt, clearly recognisable in nationally broadcast TV news reports. "Rather than support terrorism, Cuba continues to be an inspiration with its exemplary health and education systems and its internationalism. On the same day as Operation Strong Tower, the World Health Organisation (WHO) announced that Cuba has become the first country in the world to eliminate mother-to-child transmission of HIV and syphilis.